The IT department of Pioneer Standard, a 2 billion dollar electronics company, manually tracked its internal service requests and projects, resulting in communication breakdowns and extended project life cycles. The IT department had 20-30 support technicians who were responsible for managing support and development project requests by ROI, then routing them through analysts and committee approval prior to a new project becoming active. The interested parties, including a staff of 150, were unable to track the status or costs of requests. Pioneer needed to become more responsive to these requests as well as develop a method for more accurately tracking the budget and actual money spent for service requests. Another significant need was the ability to track time and determine whether it could be capitalized or not by project. Pioneer also needed purchase requests, as well as a tool for tracking contract labor. Pioneer's IT department utilized Microsoft Exchange/Outlook for e-mail and Microsoft Project. Automation Centre's TrackerOffice, based on the Exchange platform, was the perfect solution. It allowed Pioneer to benefit from its existing infrastructure and resulted in near zero training and high acceptance rates. Automation Centre configured its Project Tracker to mirror, as closely as possible, Pioneer's current IT service request, review and approval process. Tracker was also configured to enable purchase, expense and time tracking in a manner that closely fit how Pioneer manages its project accounting and internal client charge backs. 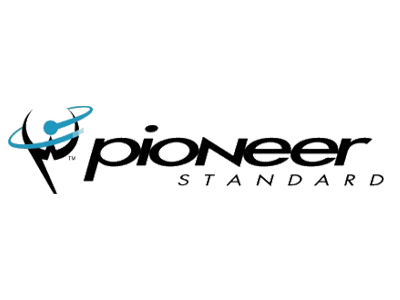 Automation Centre also provided the tracking of Pioneer's pre-authorization project steps as a standard part of the source code, allowing easy upgrades. Pioneer is also able to import projects from Microsoft Project through complete integration with TrackerOffice. Tracker software has improved Pioneer's service request process and project management resulting in improved internal customer relations. The CIO can easily check the status of a request, its estimated costs vs. actual, ROI, and milestones. The business stakeholders and directors possess a better understanding of the status of projects, including their priority, cost, ROI and resources remaining. Project managers receive timely communications of new service requests, director approval, commitment tracking and purchase request generation. Estimating and project initiation are also easier for project managers. The Pioneer IT staff can easily manage electronically time, task and status reports. Moreover, Automation Centre was able to install, configure, and train TrackerOffice within 4 months of project initiation and as of August 2001, Pioneer will have 120 users.